Construction of the Bull Mountain natural gas pipeline in Gunnison County has cleared its final hurdles and can start at any time. On Tuesday, May 6, Gunnison County commissioners gave their final stamp of approval to issue permits for an eight-mile section of the pipeline that will cross Gunnison County. The pipeline, proposed by Houston-based SG Interests Ltd. and Gunnison Energy, had already been approved by the U.S. Forest Service, which found that the route would have the fewest impacts on the surrounding forest, despite bisecting three roadless areas. 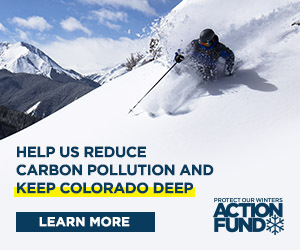 The pipeline may traverse two national forests through five Colorado counties—Gunnison, Delta, Mesa, Garfield and Pitkin—and would enter the 120,000-acre Clear Fork Divide designated roadless complex that connects the Grand and Battlement Mesas to the West Elk Mountains. In response to Forest Service decision, a consortium of environmental groups—including the local High Country Citizens’ Alliance (HCCA)—and Pitkin County filed suit against the Forest Service for allegedly violating the 2001 Roadless Area Rule. The group’s attorneys appeared in United States District Court for Colorado last month to request a preliminary injunction against construction of the pipeline, which was allowed to commence after May 1 under the Forest Service’s approval. On Wednesday, April 30, U.S. District Court Judge Robert Blackburn in Denver denied the motion, stating that the groups had failed to show their claims would prevail in court. The decision does not mean the case is over, but only that construction may begin. Attorney Robin Cooley, who represents the groups through California-based Earth Justice, agrees and says they will now have the opportunity to argue for their interpretation of the Roadless Rule before Judge Blackburn. “We’ll have another chance to convince Judge Blackburn that his order was in error,” she says. “We get another shot at it.” In addition, the groups are making a last-minute appeal before the U.S. 10th Circuit Court of Appeals, seeking a reversal of Blackburn’s denial for preliminary injunction. Guinn said he believed Judge Blackburn’s decision was well reasoned but would not comment further on pending litigation. On Tuesday, May 6, the county commissioners decided that the project met the conditions laid out in the Gunnison County Temporary Regulations for Oil and Gas Operations and approved the issuance of permits for the project. The oil and gas regulations were adopted in 2003 to encourage responsible exploration and production of oil and gas resources and ensure that such operations do little or no harm to the environment or to the public.